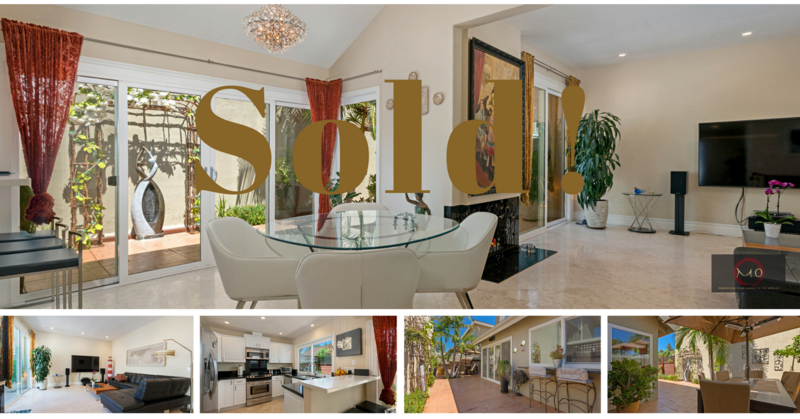 Congratulations to our sellers on the successful sale of their home in Irvine! This Gorgeous and elegant home was located in the Woodbridge community of Irvine. Highly upgraded single story family residence with stunning curb appeal, only one common wall , garden villa private entry, with a light and bright open floor plan. Walk in and your first room is on the right-hand side with two other rooms as you continue down the hallway. the living room with vaulted ceiling with fireplace, from there are sliding glass doors to the beautiful backyard, full gourmet kitchen and black granite counter top breakfast nook. gas hook up for those prefer gas stove cooking. 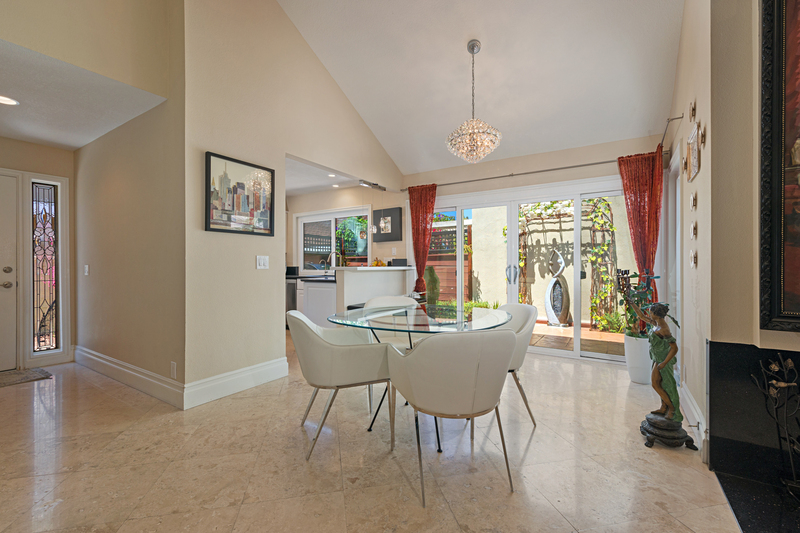 Formal Dining area opens to the spacious living room which is perfect for entertaining. Travertine, wide baseboard, real wood and carpet flooring throughout. Spacious large master bedroom with a vaulted ceiling and high-end master shower. Great backyard for retreats and upgraded garage with epoxy flooring, high ceilings and built in ceiling lighting sets this apart from everything else out there! Woodbridge resort style amenities with lakes, sand lagoons, multiple pools, plus tennis courts.